This first kitchen is so gorgeous and guess what? The cabinets are from Ikea. Seriously! 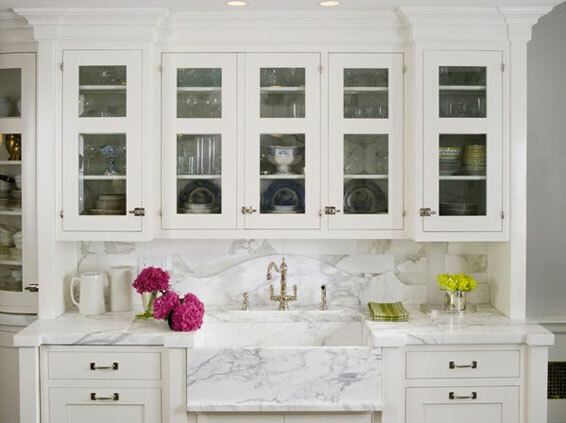 The stunning marble and thick Mitered edge detail make it look like a million dollar room. I always like a white kitchen...these are sooo beautiful.